PEARL HARBOR, Hawaii - Dec. 7, 2016 will mark 75 years since America was launched into World War II with the attack on Pearl Harbor. The following are some commemoration events taking place this year beginning the first week of December. For the complete list of events, visit www.pearlharbor75thanniversary.com. A USS Arizona Reunion Association wreath-laying ceremony will be held from 1:30 to 2:30 p.m. at the National Memorial Cemetery of the Pacific (Punchbowl). This solemn ceremony is for the survivors and association members to honor the fallen. The event is free and open to the public. The public can experience the underwater world of the USS Arizona during a free “Expedition Arizona” event from 3 to 5:30 p.m. at the Pearl Harbor Visitor Center Theater. This is a National Park Service presentation of recent expeditions to preserve both the ship and its solemn legacy. Those in attendance can see the current condition of the Arizona revealed through a digital 3D mapping project, meet the authors and photographers from the newly released book “Beneath Pearl Harbor” and attend the premier the new PBS’s documentary “Expedition Pearl Harbor” which profiles the latest interior survey of the submerged battleship. Dedication of the 1941 Ford Island Aerological Tower will be from 1 to 2 p.m. This event will dedicate newly restored areas, including the historic Aerological Tower which was the flight control central that was in use the morning of the Pearl Harbor attack. The event will also dedicate a portion of the library/archival area that is in the Operations Building. The event is free and open to the public. A Freedom Bell ceremony and bell ringing will be held from 10 a.m. to 5 p.m. at the USS Bowfin Submarine Museum and Park. The event is free and open to the public. Following the 10 a.m. to 11 a.m. opening ceremony, anyone may ring the Freedom Bell in memory of the service of a loved/remembered one. The bell will remain available until Dec. 10, in conjunction with the 75th anniversary commemoration week. The National Pearl Harbor Remembrance Day Commemoration will be held from 7:45 to 9:15 a.m. at Kilo Pier, Joint Base Pearl Harbor-Hickam. 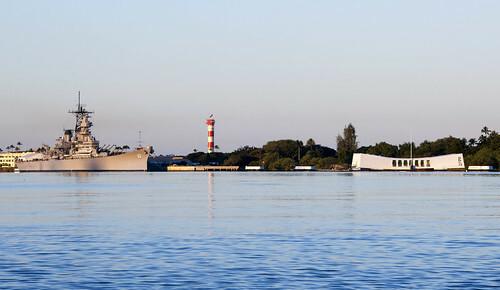 The National Park Service and the United States Navy will co-host the 75th commemoration of the attack on Pearl Harbor. Due to an overwhelming request from survivors and World War II veterans, seating is extremely limited. Unlike in past years, people cannot just show up at the ceremony wothout an invitation. 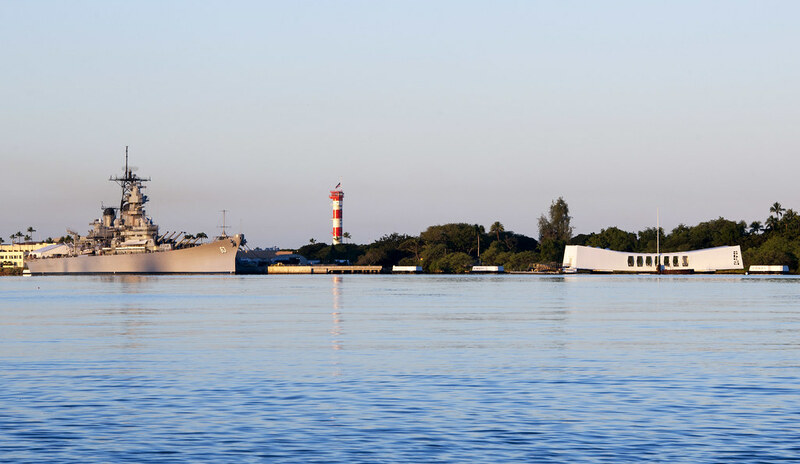 For guests not able to attend the ceremony at Kilo Pier, a live stream of the ceremony will be available for viewing in the Pearl Harbor Visitor Center theaters (7 to 9:30 a.m.) and online. The Navy would like to hear from Pearl Harbor survivors and World War II veterans. Please contact the Navy Region Hawaii Public Affairs Office at navyhawaiipublicaffairs@ gmail.com or 473-1173. An Attack on Hickam Field Ceremony and Reception will be held at 7:50 a.m. at Atterbury Circle on the Hickam side of Joint Base Pearl Harbor-Hickam. The free ceremony is open to anyone with ID card access to the base. A free mass band performance featuring more than 1,000 student musicians will be held from noon to 1 p.m. at the Battleship Missouri Memorial. Open to the public, the event will pay respect to the memory of the 75th anniversary of the attack on Pearl Harbor. The USS Oklahoma Memorial Ceremony will be held from 1 to 2:30 p.m. at the USS Oklahoma Memorial on Ford Island. The ceremony is free and open to the public. The USS Oklahoma ceremony commemorates the devastating loss of the ship and 429 of its crew members. The public is allowed to attend by using bus transportation made available from the Pearl Harbor Visitor Center. The free Pearl Harbor Memorial Parade and a public ceremony will be held from 4:30 to 7:30 p.m. along Kalakaua Avenue in Waikiki. For more information about the parade, visit www.pearlharborparade.org. A free Doris “Dorie” Miller Bust Rededication Ceremony will be held from 1:30 to 2:30 p.m. at Doris Miller Housing, 3007 Curtis Drive, Honolulu. Mess Attendant 2nd Class Miller is well known for his heroic assistance to his injured shipmates and engaging in enemy fighting with an anti-aircraft machine gun during the Pearl Harbor attack. The event is open to the public. Members of U.S. military bands will perform a series of free public concerts from 8:45 to 10 a.m. Dec. 1 to 6 at the Pearl Harbor Visitor Center lanai. The concerts are in commemoration of National Pearl Harbor Remembrance Day and the 75th anniversary of the attack on Pearl Harbor. The U.S. Air Force Band of the Pacific jazz combo Papana will perform Dec. 1. The U.S. Army 25th Infantry Division Band will perform Dec. 2. The U.S. Pacific Fleet Band will perform Dec. 5. The U.S. Marine Corps Forces Pacific Band will perform Dec. 6. In addition, other performances are scheduled as part of the commemoration. The Swingin’ Blue Stars featuring the music of the 1940s and 1950s will perform from 1 to 3 p.m. on Dec. 3 and 2 to 4 p.m. on Dec. 5 at the Pearl Harbor Visitor Center. The Royal Hawaiian Band will perform from 8:45 to 10 a.m. Dec. 4 at the Pearl Harbor Visitor Center lanai.